With a whole host of frighteningly good names set to descend upon Bramley-Moore Dock for Vevo Halloween, Getinothis’ Craig MacDonald has all the ghastly goings on. Video hosting giants Vevo have announced a monstrous group of names for their annual Vevo Halloween event, with this years installment set to take place at Liverpool’s Bramley-Moore Dock on October 29. 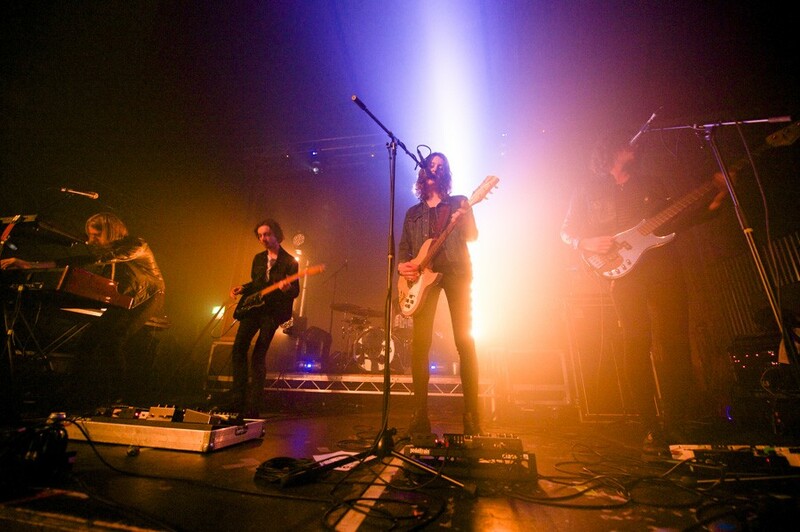 With a number one album in the bag and a claim as the biggest band in the country right now, Stockport quintet Blossoms will be returning to their second home for the third time this year, as they join Norwegian electro-pop pixie Aurora at the ghoulish dockside gathering. Fresh from playing a plethora of festival dates, multi-instrumentalist Jack Garratt will also be playing trick or treat down the docks, while the rising talents of R&B singer Izzy Bizu will also be on display. The organisers have also teased a further special guest also to be added to the lineup, promising the night will bring your darkest fears to life in what is one hell of a Halloween party. Update: Zara Larsson is the final act added to the Vevo LIFT Series. She will feature at Vevo Halloween as part of the line-up. Vevo Halloween featuring Blossoms, Aurora, Jack Garratt, Izzy Bizu and more TBC takes place on Saturday, October 29 at Bramley-Moore Dock.